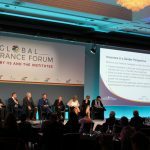 Berlin, 12 July 2018 – From 9 to 11 July, 2018 the Global Insurance Forum took place in Berlin. 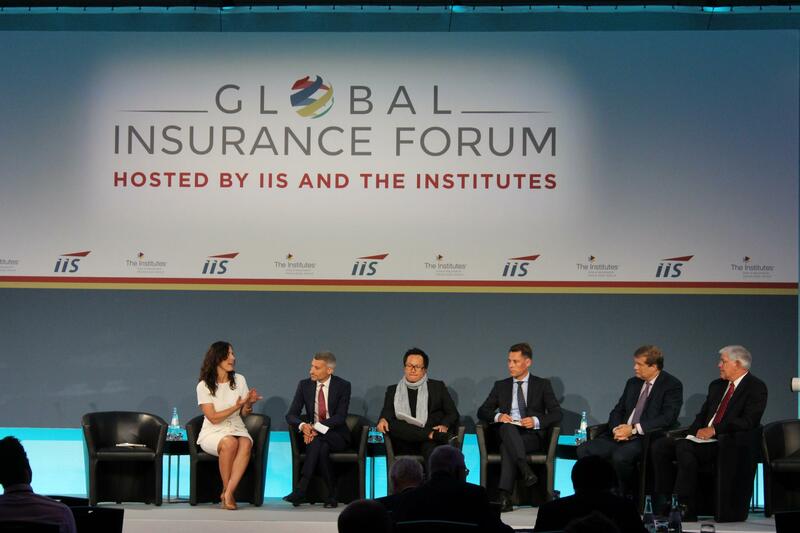 Every year, hosted by the IIS, this Forum brings together the leaders of the global insurance community. 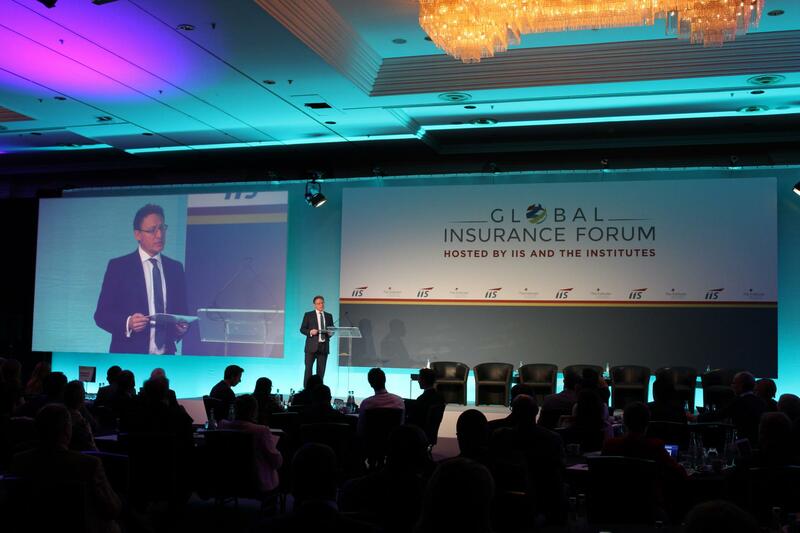 The third day of this year’s Forum was organised in collaboration with the InsuResilience Global Partnership and the Insurance Development Forum (IDF), dedicated to the topic “Insurance for Global Development & Resilience”. 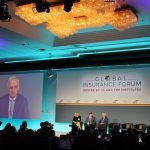 Discussions focused on the role and potential of climate and disaster risk finance and insurance to build resilience in developed and developing countries as a contribution to economic and social prosperity. 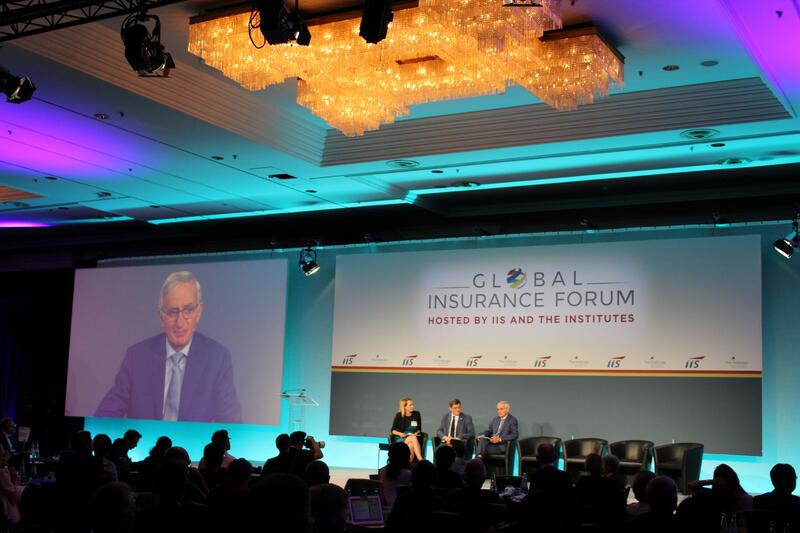 One of the objectives of the day was to develop a shared roadmap with special focus on the UN Secretary-General’s Climate Summit in September 2019 and the IIS Global Insurance Forum in Singapore, June/July 2019. 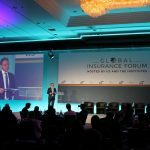 One of the high-level panels taking place on the third day of the Forum was devoted to the InsuResilience Global Partnership. Discussions focused on the need for a comprehensive risk management approach, examples of protection schemes supported by the Partnership and the challenges in implementing them. 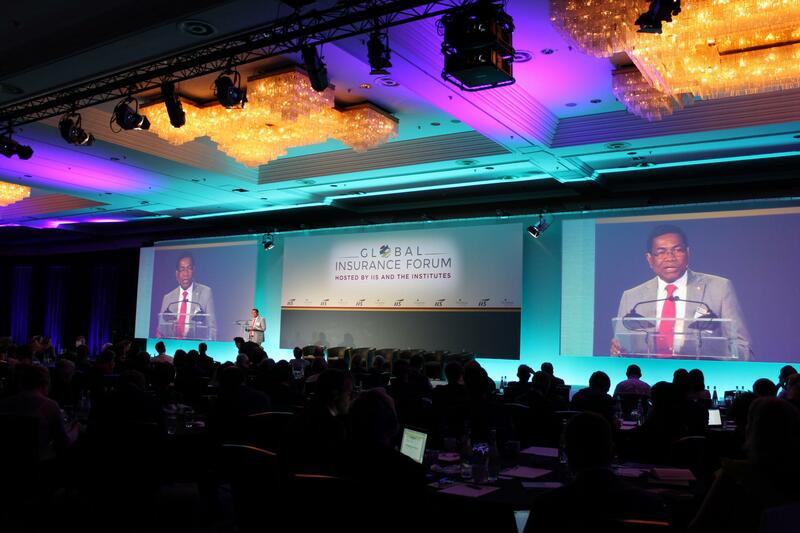 In his keynote Harison Randriarimanana, Minister of Agriculture and Livestock of Madagascar, reported on the negative impacts of extreme weather events on the country’s agricultural sector, a problem shared by many V20 countries. 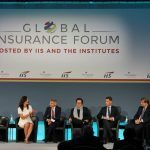 He noted that climate risk insurance constituted an important part of the tools needed to respond to climate change, and that the Global Partnership offered a good opportunity to coordinate and concretize efforts to find solutions against climate risks. 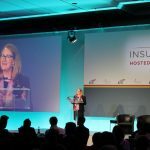 Nicola Ranger, senior advisor at DFID, UK stressed that insurance had a role in promoting resilience but primarily, the Global Partnership was “about more than financial protection – it is about managing risk. 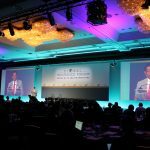 Insurance forces societies and governments to recognise their risks and to take ownership for it.” Munenari Nomura, Director for Development Policy at the Ministry of Finance, Japan, seconded this view. Insurance and other risk finance instruments provided good value for money in protection and supported resilient recovery. 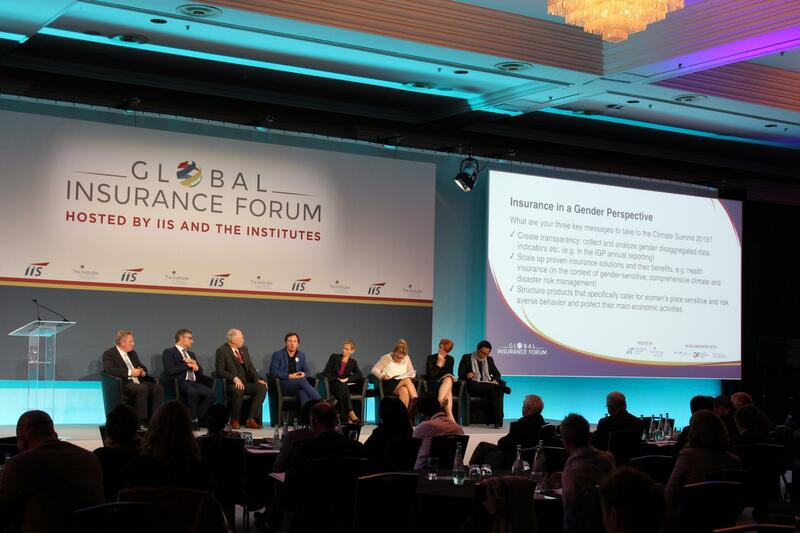 In this context, Andreas Berger, Board Member, Allianz Global Corporate & Speciality SE, mentioned that language plays a crucial role. 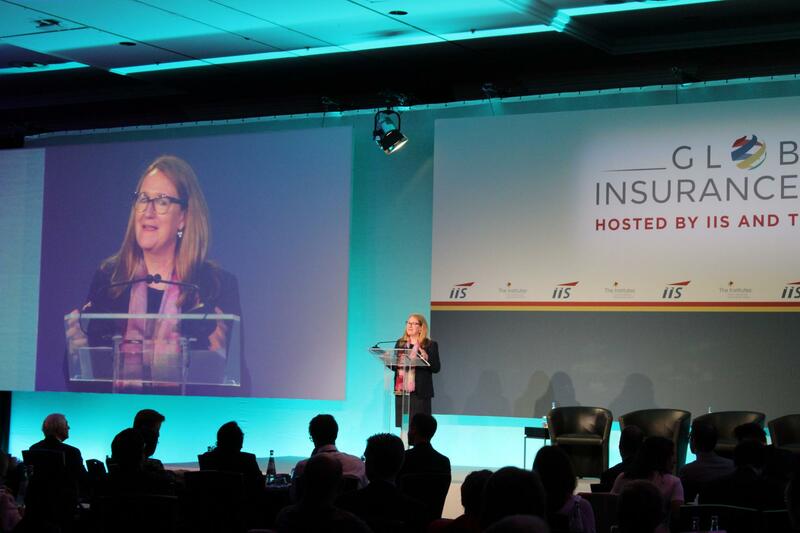 “Talking about insurance can be very abstract. 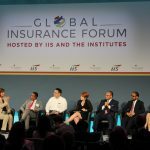 The term ‘resilience’, in contrast, resonates with many people.” The panel found that the focus on resilience was what made the InsuResilience Global Partnership unique. 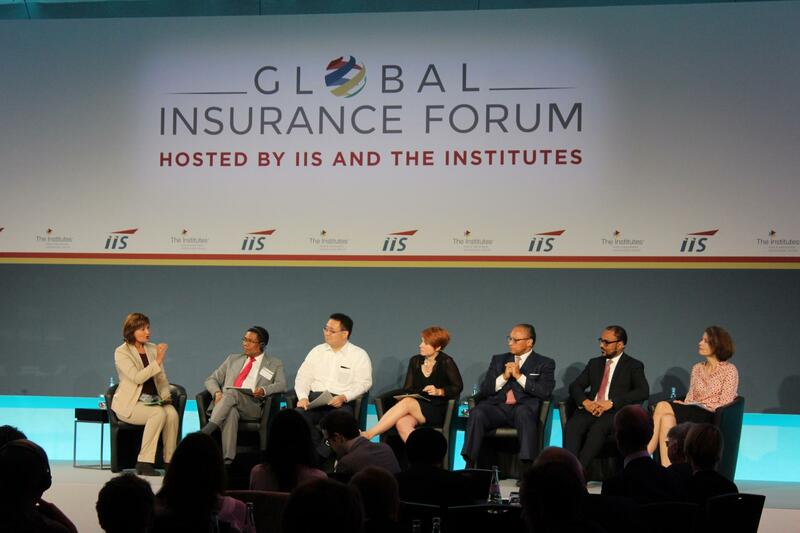 Also participating in the panel was Isaac Anthony, the CEO of the Caribbean Catastrophe Risk Insurance Facility (CCRIF) – the first multi-country risk pool in the world that provides parametric insurance policies to governments in the Caribbean and Central America. Anthony said that Hurricane Ivan in 2004 acted as a catalyst for the take-up of CCRIF in 2007 as it demonstrated the urgency of managing risk in a different way. He stressed that the Global Partnership contributed to the expansion of the CCRIF by providing not only the necessary resources but also the advocacy to make the concept of the climate risk insurance finance solutions more popular and better understood. Isabelle Nowak from Vision Fund International reported on the launch of ARDIS in early 2018, another protection scheme supported by the Global Partnership through the InsuResilience Investment Fund (IIF). ARDIS is the largest non-governmental climate insurance programme targeted at African and Asian smallholder farmers. The programme allows beneficiaries to receive fast access to much-needed credit after a climate shock or disaster. Nowak observed that clients increasingly diversified their economic activities after recovery lending, pointing towards an important learning as it shows that financial protection contributes to resilience. In the afternoon, participants had the chance to become active in several working groups discussing technical key themes within the insurance development agenda. The working groups on Sovereign and City Resilience, Investment & Blended Finance for Development, Data, Analytics and Disclosure, Life and Health, Micro-Insurance, Private Public Partnerships and Insurance in a Gender Perspective identified key messages for the shared roadmap towards the UN Climate Summit in 2019, laying the foundation for future cooperation among all stakeholders.